Growing up in Naples on or near the water, I have had a passion for fishing my entire life. What I enjoy most about my profession is teaching anglers of all ages new things. When our trip ends I want my customers to have not only caught fish, but to have learned why they caught them. The varieties of Gulf trips we offer are: Tarpon, Grouper, Cobia, Sharks, Redfish, Gag Grouper, Snook, Mangrove Snapper, Spotted Seatrout, Kingfish and more! Don’t be fooled by no fish, no pay Naples charter boats. 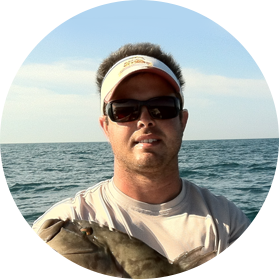 We take pride in what we do and know you will have a great time fishing the Gulf waters with captain Tony. We are dedicated to making every fishing trip a memory that will last a lifetime.